Pollution Abatement Costs: Hurting or Helping Productivity? Emissions leakage and subsidies for pollution abatement Pay the polluter or the supplier of the remedy? Abstract Recently, the role of community on pollution abatement is stressed in several empirical studies. These papers however do not analyze the strategic behavior of the resident group and the polluting firm formally. In this paper, we build a theoretical model to examine the effect of the resident group’s blockade threat on the firm’s pollution abatement and bribery behavior. confirms the empirical finding: When facing the resident’s group blockade threat, the firm will increase its pollution abatement and bribes payment. Nevertheless, the effect of community pressure on pollution abatement should not be exaggerated. Our analysis indicates that the community often has to pay a great amount of blockade social costs to trade the efficiency of blockade. To improve environmental quality and to reduce the frequency of community blockade, we suggest the regulator enhance its capacity on public enforcement and to rise the ex post liability payment when a pollution accident happens. In the existing environmental economics literature, pollution abatement is mostly considered as the public sector’s job. community to monitor and enforce polluting firms in order to maintain environmental quality. suggest that community pressure also plays a role in enforcing industrial pollution especially in developing countries where the public enforcement is weak or absence (Pargal and Wheeler 1996; Blackman and Bannister 1998; World bank 2003). 1 These studies however do not provide a rigid theoretical analysis to support their argument; neither do they study the strategic behavior of the resident group and the polluting firm. examine how, and to what extent, can community pressure push the polluting firm to enhance its pollution abatement. 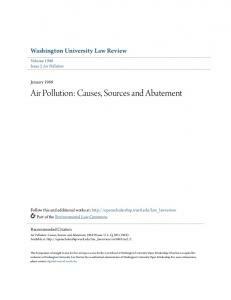 When a pollution accident happens, the resident group usually can apply litigation and negotiation to stop on-going illegal pollution or petition to the public enforcer to enhance regulation (Porter 1988). contain a clause for civil action to allow the resident group to file a lawsuit to the court. and ex post liability payments. complement to public enforcement (Naysnerski and Tietenberg 1992). Using litigation to protect the environment however depends on a well-defined and effective judiciary system (Pargal et al. 2003; Tsai 1998). court (TEPA 1993). The other alternative to stop the firm’s on-going illegal pollution for the resident group is to negotiate cooperatively or non-cooperatively with the polluting firm (Coase 1970; Porter 1988). use) protest and violence to strengthen their bargaining power in negotiation (Pargal and Wheeler 1996). environmental disputes happened in the 1980s, the resident groups in Taiwan negotiated with the polluting firms. than 3000 villagers blockaded the Pak Mun dam project in 1999, and 500 villagers from Prachuab Khirikhan protested in a foreign funded coal fired power station project in 2000 (Quah and Tan 2002). abatement equipment and compensated local people due to community complaints (Pargal and Wheeler 1996). These community blockade examples show that the resident group is unsatisfied with the existing regulation. countries, the resident group and the polluting firms have gradually established a “blockade-and-bribery” culture. polluting firm is used to pay bribery (or compensation) to the resident group. Without blockade threats, the firm will not pay “candies” to the resident group. Many blockade events in Asia ended with a huge monetary transfer from the firm to the resident group. facilities operate, the government even provides grants to the local government to ‘bribe’ the nearby villages for the acceptance of the facility (Quah and Tan 2002). In a society with blockade-and-bribery social culture, whether community pressure can help to improve environmental quality becomes an interesting question. On the one hand, it is possible that the firm invests more on pollution abatement in order to avoid the resident group’s blockade. more efficient to pay the resident group with money rather than to have costly environmental abatement. environmental quality can be improved under community pressure as empirical evidences suggested. costs of blockade? In this paper, we clarify the role of community pressure in environmental management. the firm’s pollution abatement behavior and compensation (or bribe payment) behavior. optimal environmental policy in respond to community pressure. This paper is organized as follows. the resident group’s strategic behavior in blockade and the firm's response in pollution abatement. situation when the resident group is not allowed to use the blockade threat. benchmark model is used to compare with the model in section 4 where the resident group is allowed to blockade. be used to calculate the social costs of blockade, and to derive the optimal public enforcement policy. effects of exogenous variables on the firm’s decisions. We consider a community with one firm and a group of community residents. firm emits pollution that imposes a negative externality on the community. public sector sets an environmental standard to regulate the firm’s polluting behavior. The firm invests on pollution abatement depending on the standard. public sector cannot fully observe the firm’s pollution abatement effort. firm’s abatement effort is not sufficient to meet the standard, pollution accidents can happen any time. other, we establish a two-player game to elaborate both groups’ interactions.4 two players are the resident group (R) and the firm (F). The game takes two stages. At stage 1, the firm decides the level of pollution abatement (a) and the amount of monetary transfer (b) to the resident group hoping to reduce the scale of blockade threat from them. sufficient to prevent any pollution accident to happen, the resident group will not blockade at all. probability for pollution accident is greater than zero, the resident group decides whether to blockade the firm at stage 2. If they decide to blockade the firm, the scale of their blockade density (d) will depend on the firm’s take-it-or-leave-it offers on monetary transfer and pollution abatement. The game tree is illustrated in Figure 1. Since the resident group’s strategic behavior on blockade only happens when the firm causes a pollution accident, we define the probability of pollution accident as the following. decides a pollution abatement effort (a). on its abatement effort: More efforts in pollution abatement will reduce the firm’s emission level, i.e., s ′( a ) < 0 .
firm needs to invest a unit of pollution abatement, i.e., s ( a ) = e .
abatement effort is less than a , its emission level will be higher than the regulation standard. Denote e(a) as the firm’s overcharged emission, i.e., e( a ) = s( a ) − e .
Assume e(a) is a convex decreasing function with e′( a ) < 0 and e′′( a ) > 0 .
probability of an environmental accident is denoted by θ(e(a)). Assume θ(e(a)) is an increasing concave function with θ a′ ( e( a )) < 0 , θ a′′( e( a )) > 0 , and θ(e(a)) is converging to 1 as e(a ) → ∞ . accident is zero whenever the firm obeys the pollution standard e , i.e., when e( a ) ≤ 0 , θ ( e( a )) = 0 . We fist consider the situation that the resident group is not allowed to use the blockade threat to stop the firm’s illegal pollution. which we want to compare it with the one that allows the resident group to blockade. In this model, the resident group cannot blockade the firm even when they know the probability of environmental accident is greater than zero. the firm’s illegal pollution by filing a lawsuit to the court. fully observe the firm’s probability of pollution accident and the legal cost is zero. The resident group’s expected total reimbursement from the court is the product of the probability of pollution accident θ(e(a)) and unit ex post liability (L). situation, the firm does not have to bribe the resident group, however, it still needs to invest on pollution abatement to lower the total reimbursement to the resident group. Without blockade, the resident group’s decision on the scale of blockade density d=0, even when the probability of pollution accident θ ( e( a )) > 0 .
group’s expected utility is as follows: ~ U ( d = 0) = θ ( e( a )) ⋅ L − h ⋅ e( a ) . The first component represents the expected ex post reimbursement received from the firm authorized by the court θ ( e( a )) ⋅ L ; it depends on the magnitude of the firm’s abatement effort (a) and the unit ex post liability L.
resident group’s expected utility is the negative externality caused by the firm’s emission; the parameter h represents the unit harm caused by the firm’s overcharged emission. decision on pollution abatement. Without community blockade threat, the firm does not have to pay a monetary transfer to the resident group, b=0. where π 0 represents the firm’s net revenue; φ represents the unit cost of the firm’s pollution abatement; f represents the unit fine paid to the government due to the overcharged emission; the last term is the total amount of ex post liability payment paid to the resident group. The firm’s optimal abatement level is determined when the marginal cost of abatement (denoting as MCANB) equals to the marginal benefit of abatement (denoting as MBANB). MBANB = − f ⋅ e′( a ) − θ a′ ( e( a )) ⋅ L = φ = MCANB The marginal cost of abatement is φ. 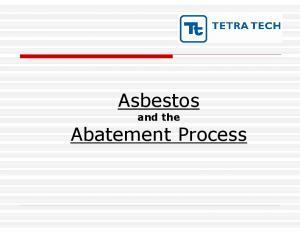 Let a~ be the firm’s optimal abatement effort in this model. ~ group’s expected utility is U = θ ( e( a~ )) ⋅ L − h ⋅ ( e( a~ )) , and the firm’s profit function is π~ = π 0 − φ ⋅ a~ − f ⋅ e( a~ ) − θ ( e( a~ )) ⋅ L , respectively. In this section, we assume the resident group is allowed to use blockade threat to negotiate with the firm when a pollution accident happens. right knot of the game tree in Figure 1. We use backward induction to solve this sequential game. 4.1 The Resident Group’s Utility Maximization Problem Assume the resident group’s objective function is to maximize their utility. the firm’s take-it-or-leave-it offer on the abatement effort (a) and bribes (b), the resident group decides the scale of blockade (d). The resident group’s expected utility is composed with several elements. element is the bribes b that the resident group received from the firm. affect the magnitude of the total ex post liability payment. The concept of the probability of the resident group’s embarrassment in receiving bribes is from Bruno (1997). He argues that people often has an environmental social norm in mind. This social norm refers to the resident group’s subjective evaluation of the physic benefit in participating in the blockade to protect the environment. resident group’s purpose in participating in blockade is for the environment, receiving bribes from the firm will embarrass themselves. payment increases with the scale of blockade, and decreases with the bribes. third element of equation (4) cost. Parameter c represents the unit cost of blockade. L⋅d* . Max π ( a, b) = π 0 − b − φ ⋅ a − f ⋅ e( a ) − θ ( e( a )) ⋅ a ,b 1+ b Parameters in equation (6) are similar to the model without blockade. and f represent the firm’s net revenue, the unit cost of pollution abatement and the unit fine paid to the government due to the overcharged emission, respectively. only difference is on the last term in which the firm’s ex post liability payment is not determined by the court but rather by the resident group’s blockade threat. The marginal benefit of abatement comes from three sources. reduced fines paid to the government due to an increase of abatement effort, denoting as MBAF = − f ⋅ e′(a ) . Overall, the marginal benefit abatement is decreasing with the firm’s pollution abatement, i.e., MBAa′ < 0 and MBAa′′ > 0 . 4.2.2 The Optimal Amount of Monetary Transfer The first-order necessary condition of optimal bribes to the firm’s profit maximization problem is when the marginal benefit of bribery (MBB) equals to the marginal cost of bribery (MCB). The marginal benefit of bribery contains two parts. L ∂d * bribery is denoting as MBBD, with MBBD = −θ ( e( a )) ⋅ ⋅ > 0 ; it represents 1 + b ∂b the firm’s reduced total ex post liability payment due to one more dollar of bribe in reducing the resident group’s scale of blockade. bribes b*. 4.3 Equilibrium Solutions to the Maximization Problem To ensure optimal solutions exist, we have checked that the Hessian matrix is negative semi-definite, and the second order conditions of equation (4) and (5) are negative. resident group will blockade only when the unit cost of blockade satisfies the condition of c ≤ 2(θ ( e( a )) ⋅ L) 2 .
solutions for the firm’s optimal pollution abatement and bribery. In this section, we compare the models. examine the effect of the resident group’s blockade threat on the firm’s investment on pollution abatement, and to calculate the social costs of blockade. 5.1 The optimal abatement and bribery In the model without blockade, the firm does not have to pay any bribery to the ~ resident group, i.e., b = 0 . ~ resident group, since b* ≥ 0 , we have b* ≥ b = 0 . As to the firm’s pollution abatement effort, we find it is intuitive that the firm’s pollution abatement level with blockade threat is greater than the pollution abatement without blockade threat, i.e., a * > a~ . We then derive proposition 1.
the resident group’s blockade threat than without. Q a * > a~ and e′( a ) < 0 , we get e( a * ) < e( a~ ) . emission under blockade threat is less than the one without threat. This result confirms the findings by Blackman and Bannister (1988), Pargal and Wheeler (1996), Hettige, et.al. (1996), and World Bank (2003) in which they show community pressure plays a role in industrial pollution abatement based on empirical data from Mexico, Indonesia, and China respectively. 5.2 The Social Cost of Blockade Although community blockade can be effective in pushing the firm to invest more on pollution abatement, blockade is not costless to the community. social costs often refers to as the sum of private costs and external costs. this concept, we define the social costs of blockade as the following. total abatement cost, total monetary bribe paid to the resident group, total blockade cost of the resident group and the reduced damage from the firm’s overcharged emission. φ = f ⋅ e′( a * ) + h ⋅ e′( a * ) not yet finished!!!! Without considering the social cost of blockade, we have shown that community blockade is effective on pollution abatement from proposition 1.
in certain circumstances, private enforcement can be an alternative to public enforcement. to changes in exogenous variables. statics analysis.6 Propositions  to  are derived directly from table 1.
pollution accident θ ( e( a )) and drags the firm’s marginal benefit of bribery MBB. The firm thus is less willing to pay bribery to the resident group. The increase of the government’s fine indicates that the firm’s overcharged emission is more expensive. pollution abatement effort. the firm for its overcharged emission. bribery is paid to the private sector. will pay fewer bribes to the resident group if it has to pay higher fine to the government. substitute. conclude private enforcement is a complement to public enforcement. increases with the ex post liability payment; however, the optimal bribery may increase or decrease with the ex post liability payment. increase of a lowers the probability of pollution accident θ ( e( a )) and drags down the marginal benefit of bribery MBB; on the other hand, the increase of ex post liability L rises up the level of MBB. optimal bribery in respond to the change of ex post liability L.
π ab = π ba < 0 . Report "COMMUNITY BLOCKADE AND POLLUTION ABATEMENT"